Onto the footballing side of things, a side that holds very little certainty at this point. It seems likely that in a few hours the first press conference of Gianluca Nani, Scott Duxbury and Gianfranco Zola will announce that several prominent members of the Watford coaching staff have been relieved of their posts, following the long-affiliated Dyche out of the London Colney door. But for now, let us deal with certainties. 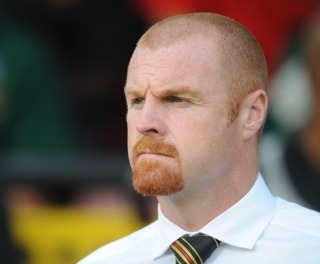 The sacking of Dyche left a sour taste in the mouths of fans. Much like his predecessor, Malky Mackay, he had a great number of detractors that, upon coming around to him, had him taken away, this time by a change of regime, rather than the ambitions of the man himself. One could say that things have worked out brilliantly for Dyche: he leaves held in very high regard in the footballing world, despite serving up dross for a good portion of his season in charge, and will walk into a job elsewhere with his CV untarnished by failure. It is important to remember, that for the first half of last season, Watford were awful, and Dyche had a significant proportion of the supporters calling for his head, and for the inclusion of the wunderkind Sean Murray in the team. It is only after Dyche relented and put the youngster on the right wing, along with Fulham loanee Alex Kacaniklic on the left, that the team was reinvigorated, with Murray leading the team on an excellent run of form. It could be that, wary of the burnout that often accompanies a first professional season, Dyche didn’t want to subject Murray to a full year, and saved him for the run in that could prove so important. Perhaps he was holding back Murray from shining in the first half the season to prevent a January transfer away that would have had a demoralising effect on the squad. Whatever the case, it must be kept in mind that Dyche’s success of 2012 followed a terrible back end of 2011, and that his departure was perhaps best for both parties. One man who does have failure on his CV, however, is Zola. Having initially flattered to deceive at West Ham, he soon oversaw their decline, which was of course finished off in style by Avram Grant to leave them alongside Watford in the Championship. What makes this all the more worrying is that he did so alongside new Watford big-wigs Nani and Duxbury. Of course, nobody would be so short sighted as to write off a manager whose first club job went badly, especially after his good work with the Italy u21s; but whether he is an improvement on Dyche remains to be seen. Fans may be soured, of course, by a previous ‘mister’ at Watford, one Gianluca Vialli, who in his own way starting the financial slide that led up to this takeover. How Zola measures up will become apparent over the forthcoming weeks and months. Despite both of these points, and the dilemma that I alluded to in the previous post is that Dyche, for all his tactical misgivings before Christmas, has become a popular man in Watford. Clearly humble, an evidently nice bloke, who stresses the virtues of honest, hard work, it’s genuinely hard not to like him, and to feel that he has been very harshly treated. 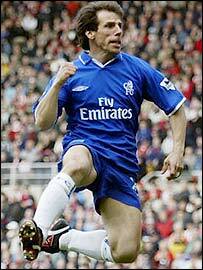 However, Zola represents the tantalising new world that Watford seem to be entering. This is a man who was voted Chelsea’s best ever player a decade ago, and who will have mesmerised all but the youngest of Watford fans in his playing career. Though his managing credentials leave a lot to be desired, Gianfranco Zola is A-List, and has following him a host of rumoured transfer targets in Carlo Cudicini (an accomplished, but rapidly aging custodian) and Jordan Rhodes. To fans, Zola is ambition. Incoming – Zola, nifty little bugger. One source of optimism, is that the three men who will play key roles in Watford’s future – Nani, Zola and Duxbury – have known about their jobs for some time, and will have been planning accordingly. It was in December of last year that I was told in quite close detail by somebody on the new, extensive staff how Pozzo, the owner of Udinese, was to take over Watford this summer, with Nani becoming Director of Football and Zola bought in as coach. I must stress that this was a bolt from the blue as far as sources are concerned, and that I am not, nor claim to be a fabled “ITK”, but the fact that both roles were certain at such an early stage suggests that plans have been ongoing for some time: a source of encouragement for fans as they watch the club and its staff be picked apart and disposed of over the coming weeks. What the season, and beyond, has to offer remains to be seen. And there is little for the supporters of the club to do but sit back and to wish the players and staff to be ‘in bocca al lupo’. Great Blog mate. Good to see some more Watford fans using this!